Amtrak has proposed new fencing and locked gates at crossings along the Empire Corridor South between Rhinecliff and Stuyvesant. 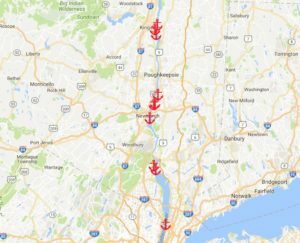 Eventually, it plans to construct similar barriers at locations between Rensselaer and Poughkeepsie. Amtrak’s project would eliminate public access to the Hudson River at places where people have launched boats, fished and hunted for generations. Residents of Castleton-on-Hudson have already lost access to their public waterfront park. Scenic Hudson and the Towns of Germantown and Rhinebeck invite you to Balancing Passenger Rail Safety with Public River Access on Saturday December 15th from 10 a.m. to noon at the Kellner Community Activities Center, 50 Palatine Park Road, Germantown, NY. Registration will begin at 9:30 a.m. with refreshments and networking. The purpose of this event is for you to learn about Amtrak’s proposal for new fencing and locked gates at crossings along the Empire Corridor South between Rensselaer and Poughkeepsie. This project would eliminate public access to the Hudson River at places where people have launched boats, fished and hunted for generations. We look forward to sharing with you 21st Century approaches that better balance railroad safety with public access. Following the program, you’ll have an opportunity to visit a nearby site where a proposed 700-foot-long fence would prevent generations of public access. Please RSVP for the event here.